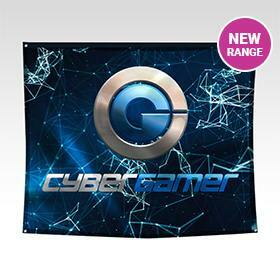 We can produce your Fabric Banner in as little as 48 hours after artwork proof sign off. 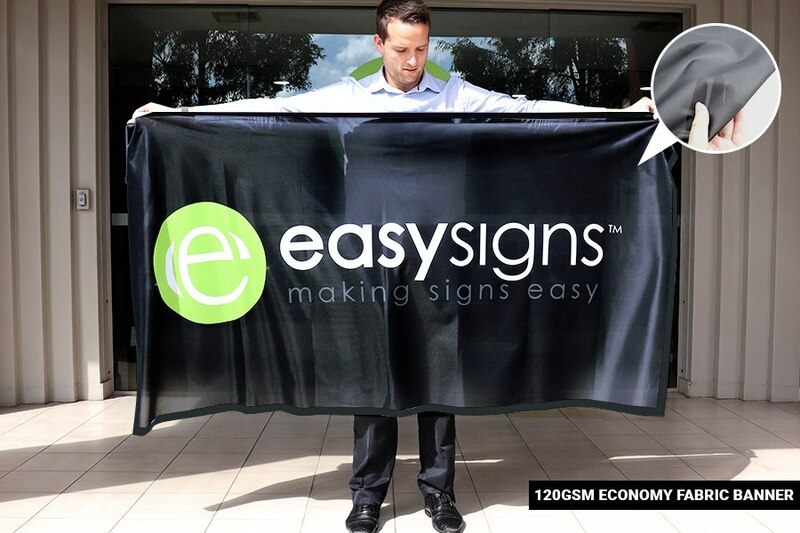 Our Fabric Banners are perfect for advertising your products and brand at events and exhibitions. They are lightweight so they can be folded and packed into your suitcase to take to your event! 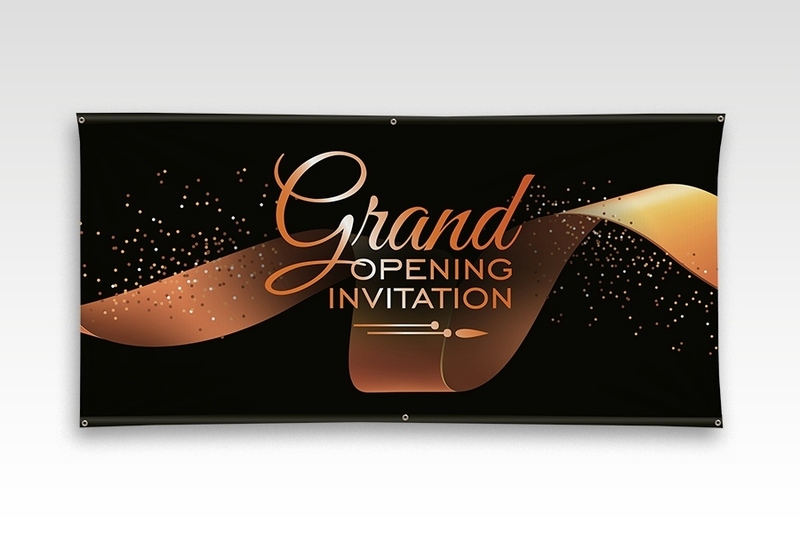 We can finish your Fabric Banners with rod pockets so you can hang them from the ceiling for your next event, or with eyelets to hang up indoors or outdoors. 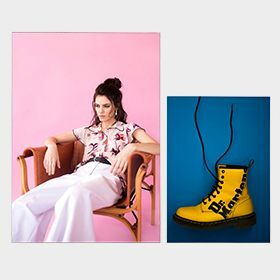 If you want to use them as a backdrop in your exhibition stand, we can simply hem the edges and you can stretch and pin them up. 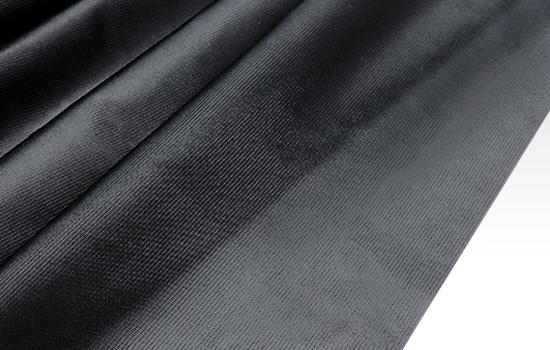 Our quality fabric can be ironed or steamed to remove creases. 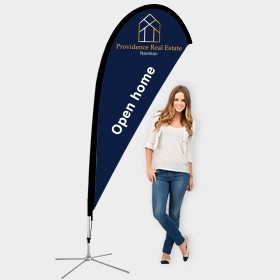 Fabric banners can be folded up neatly into a small package and can be easily shipped without risking any damage, they are light weight and easy to travel with. 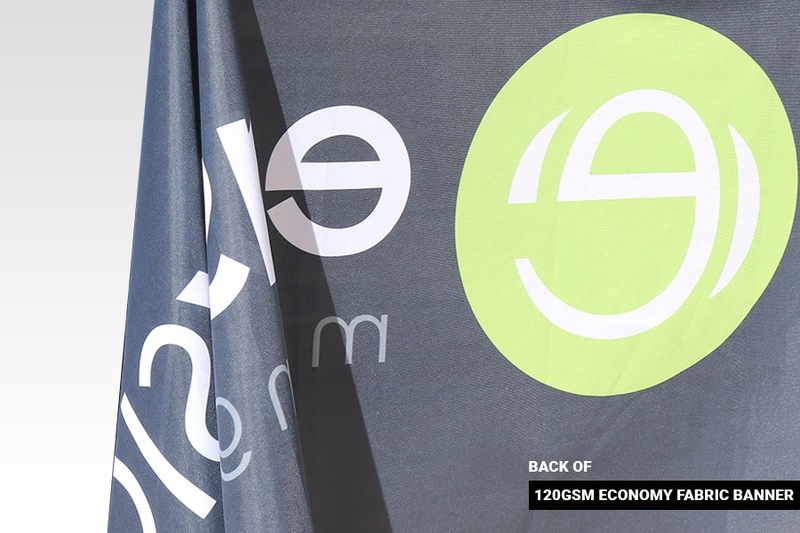 What is the difference between Economy and Premium Fabric Banners? 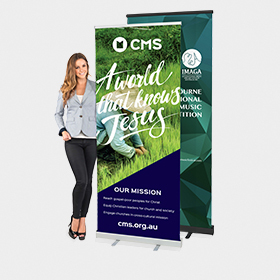 The Economy Fabric Banner is a 120gsm polyester material with a gloss sheen. As it is a thinner material it has some transparency which allows better ink bleed through, so the print will be seen in reverse on the other side. 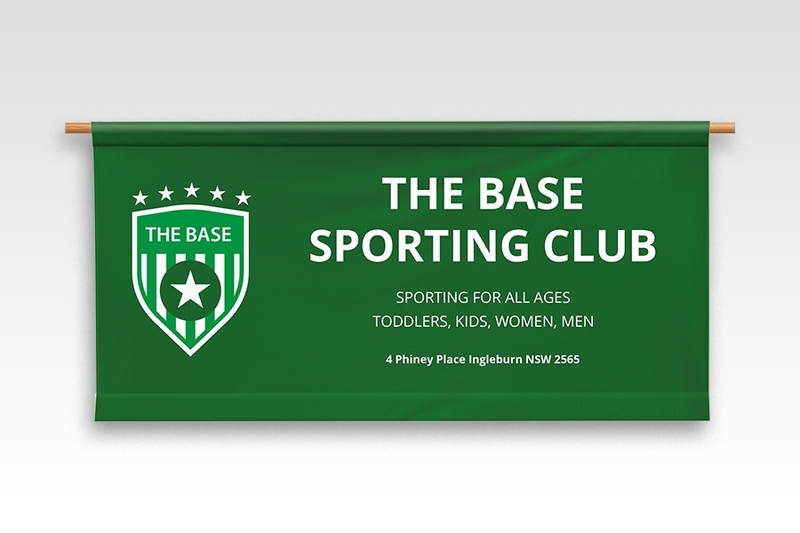 The Premium Fabric Banner is a 250gsm polyester material with a matte finish. It is a thicker material with minimal transparency so it has very little ink bleed through. Both materials are suitable for indoor and outdoor use, however we recommend the Premium material for indoor use because of the matte finish and lack of transparency which reduces lighting glare and provides better indoor photographic results. 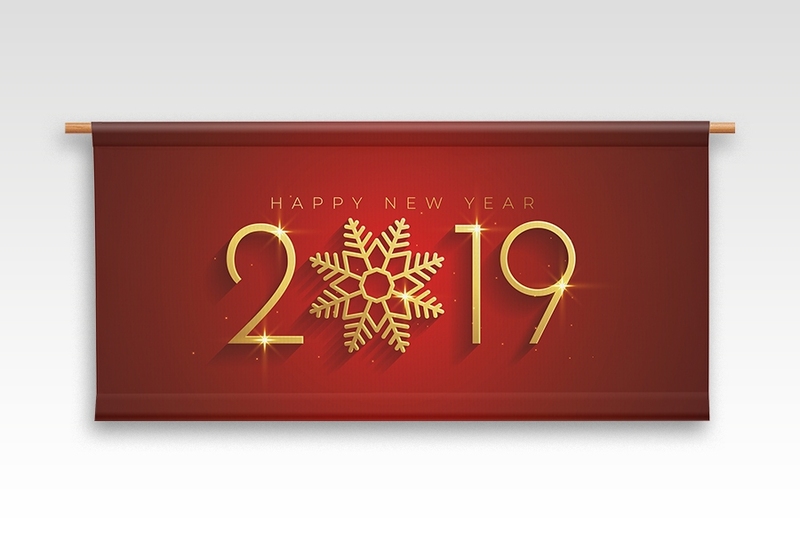 Will the Premium Fabric Banner last longer than the Economy? 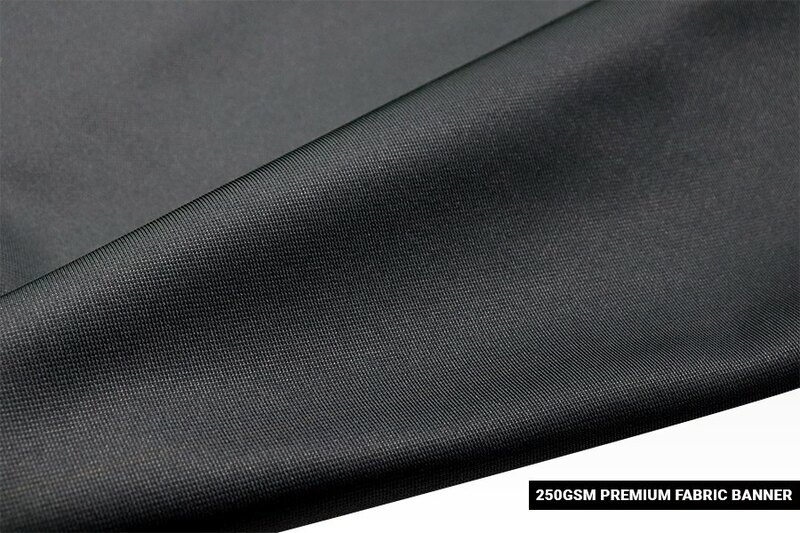 We expect both the Premium and Economy Fabric Banners to last for similar lengths of time. 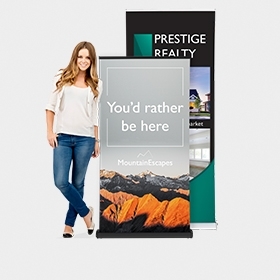 Do you print double sided Fabric Banners? We are sorry but we do not manufacture double sided Fabric Banners. 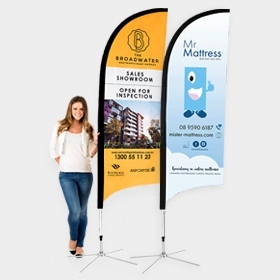 It is possible to use 2 of the Premium Fabric Banners back to back, although there could be some bleed through of colour from one banner to the other (as this material is not a blockout material). 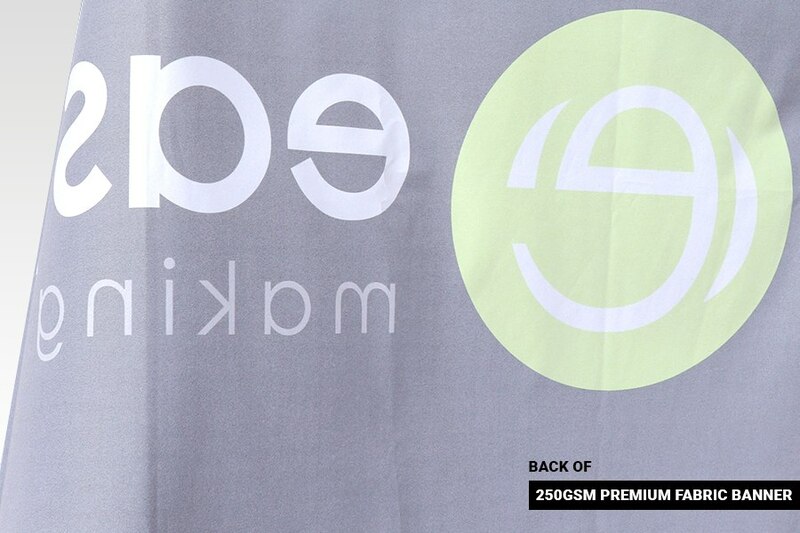 The Economy Fabric Banners are much more transparent so are not suitable for this purpose. 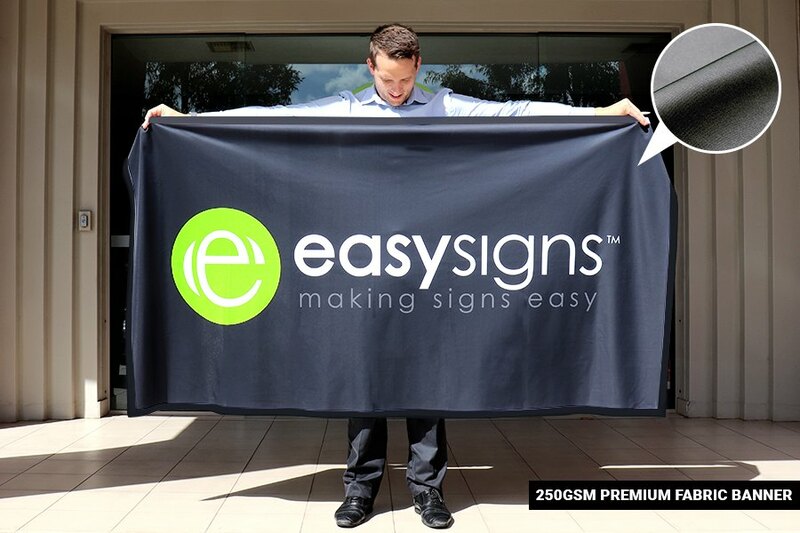 How big can you make a Fabric Banner? What size are the Rod Pockets on my Fabric Banner? What rod size should I use for my Fabric Banners? You will need to consider your individual circumstances to work out the most suitable rod size. We can advise that the most common size used by our customers is 19mm diameter dowel which is readily available from stores such as Bunnings. 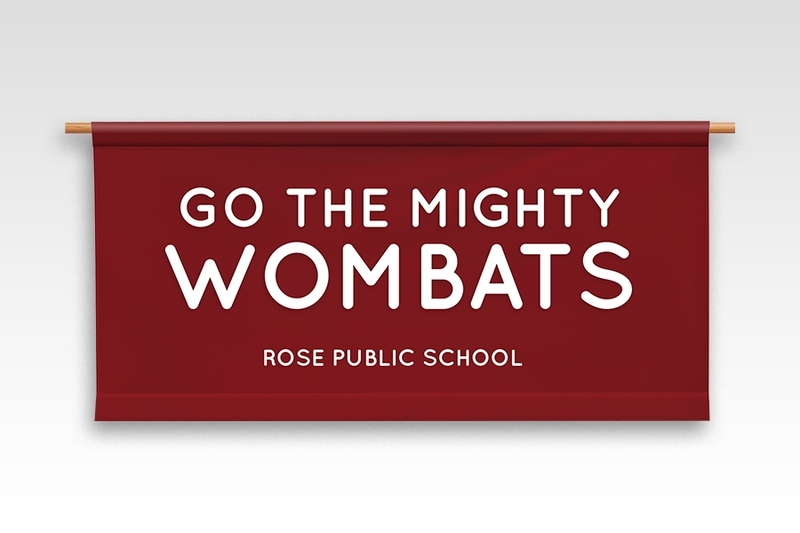 How long will my Fabric Banner last? 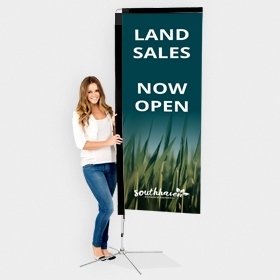 If your Fabric Banner is used indoors, it will last for years! 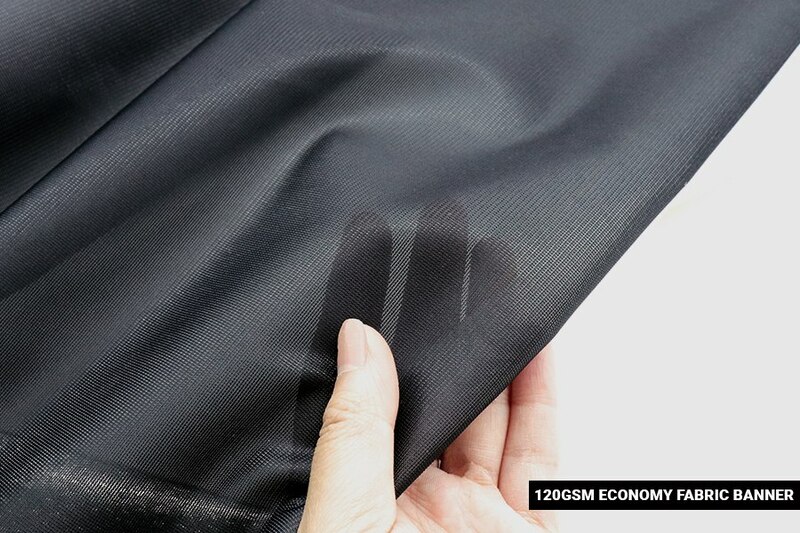 Any fabric outdoors will deteriorate based on how much UV exposure it receives. We estimate at least 6 months for full time outdoor use. How long will it take to produce my fabric banner? How many Eyelets will my Fabric Banner have? 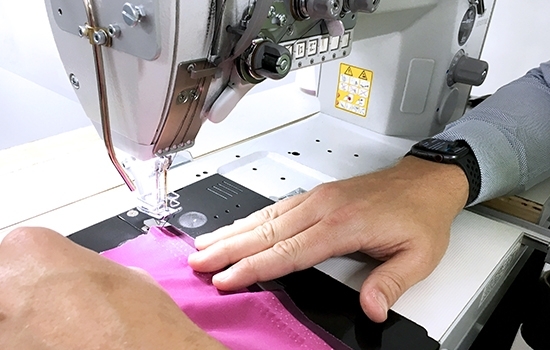 Will the stainless steel eyelets rip out of the Fabric Banner? The Fabric Banners are sewn around the perimeter with 3 layers of the material to provide extra strength for the eyelets. The eyelets should not rip through these 3 layers when the banners are used in normal weather conditions. It should be noted that no banners should be left outdoors during extreme weather conditions. 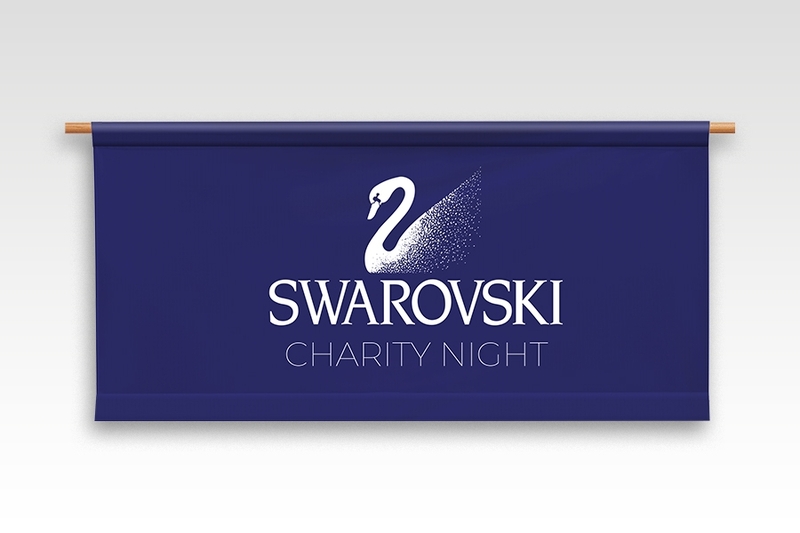 Are you looking for a Fabric Banner with that extra bit of class? Our Premium Fabric Banners are made from our high quality 250gsm SignWeave™ polyester material which highlights the superior full colour dye sublimation print. 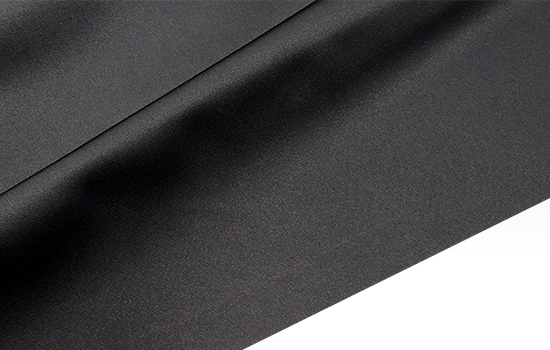 This Premium material has a matte finish for reduced glare and minimal transparency to enhance the print colours. Perfect for photography! 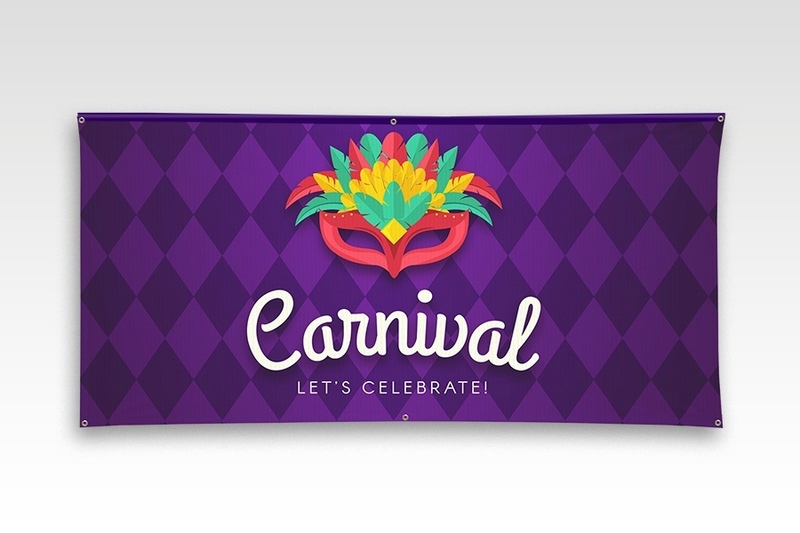 Want a high quality custom printed Fabric Banner at a really low price? 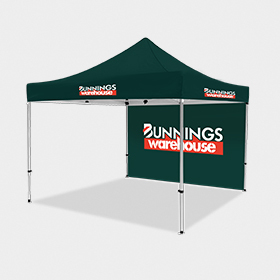 Our Economy Fabric Banners include a lighter weight 120gsm SignWeave™ polyester material with a vibrant full colour dye sublimation print. The lighter weight material is more transparent to give great ink bleed through for a reverse image on the other side. The only thing “economy” about this quality product is the price!